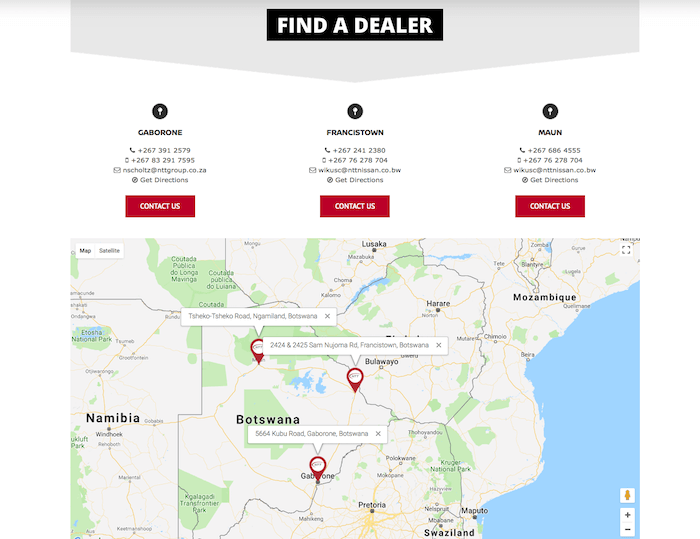 When it comes to buying a vehicle in Botswana, you’re not going to get better service than from NTT Nissan Botswana’s well-trained, respectful and knowledgeable staff. The challenge for the team at The Website Engineer was build a website to match. First, we were asked to create a website that conformed to the latest design principles and trends, was simple to use, and presented a large amount of content in a way that was easy to digest and compelling for potential customers. 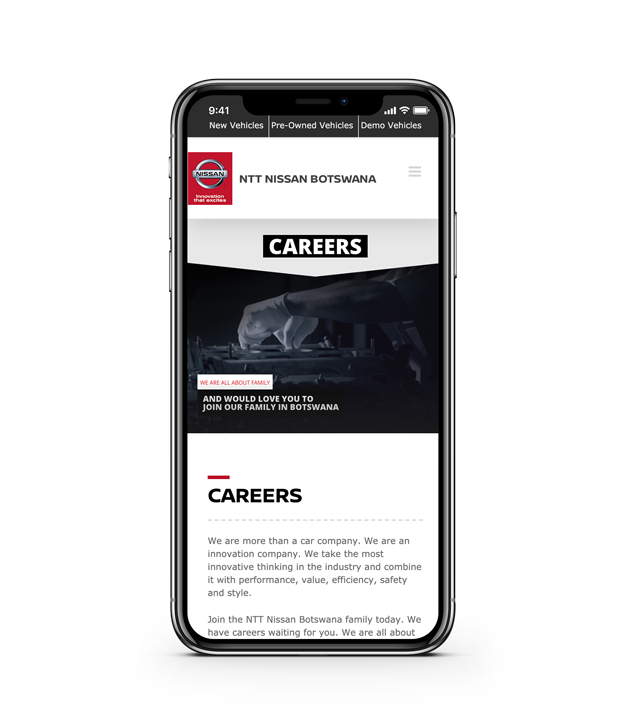 Second, NTT Nissan insisted on a high degree of technical sophistication – including mobile readiness and integration with modern tools such as XML Feeds, Google Analytics and Google AdWords – to help them improve lead generation and tracking through their website. Needless to say, this was exactly the kind of project we love to tackle. Content isn’t just about great words, images and videos – it’s about presentation, and that’s where we come in. 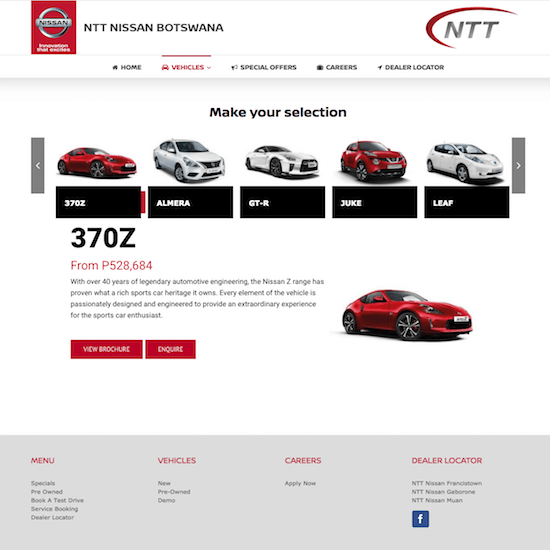 NTT Nissan Botswana had the content, but needed an effective and simple way to manage it and present it to their online visitors. 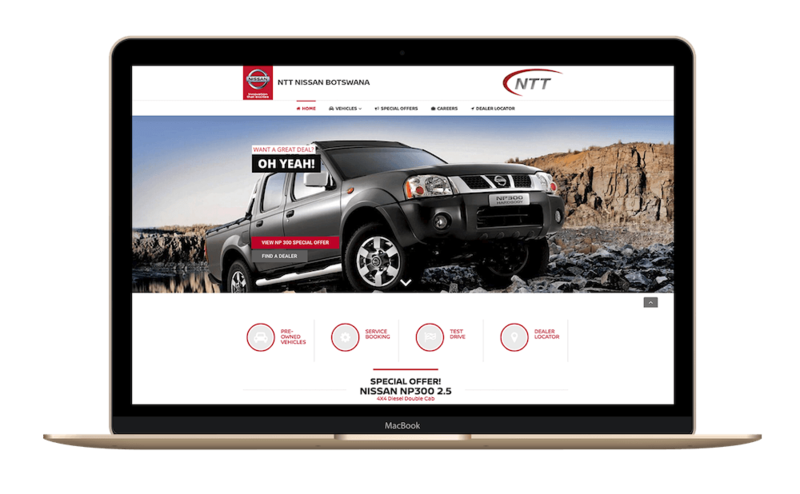 So we got to work using our experience in designing for other vehicle retailers and e-commerce platforms to create a fast, simple way for NTT Nissan to manage their vehicle inventory, dealerships and other information. 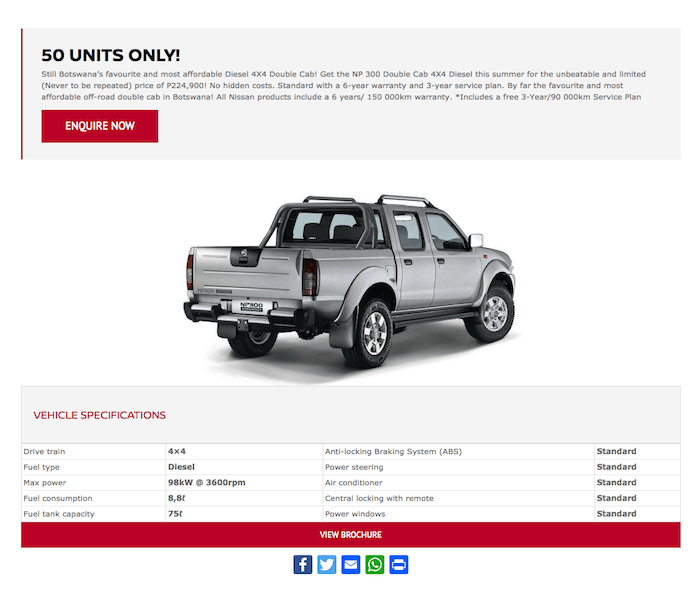 The result is that their content doesn’t just look better, it’s even easier to add to their website, empowering NTT with greater freedom and control over their online presence.